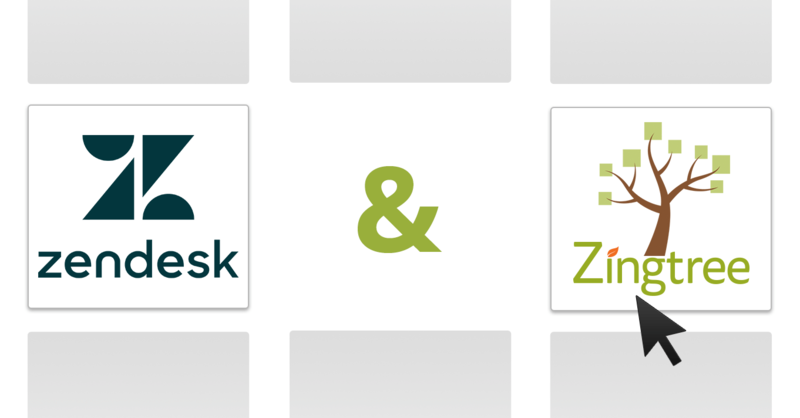 For this latest update, we’ve focused on improving the ability to tag various Zingtree objects. 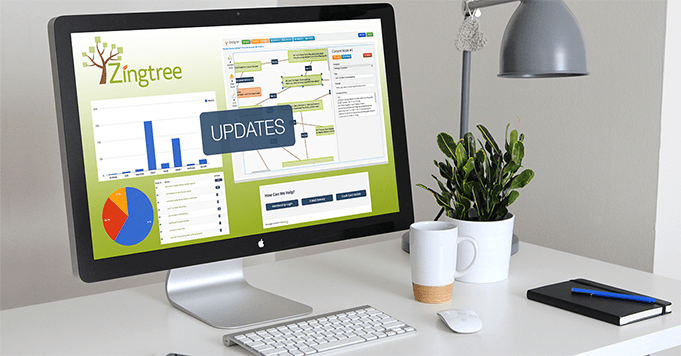 You can tag Nodes, Trees, and Agents to really help categorize and organize your work. 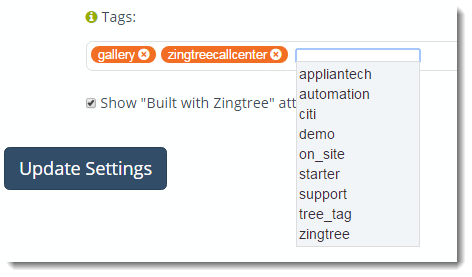 When adding tags, you can now pick from a list of existing tags, or easily delete tags with a single click. This makes it easy to ensure consistency in your tagging (thanks to Bryan M for the inspiration). Here’s a screen snippet from the Tree Settings tool showing how this new tagging interface works. Update: Restricts tree view in Agent Portal for tagged agents matching tree tags (h/t Adam C). Update: Scoring Nodes now can be set with placeholders for values but no destination node picked (h/t Arie). Update: Scoring nodes can now be set as the root node for A/B tests (h/t Ben C). Bug Fix: Tree tag filtering in Agent Portal now works properly. Bug Fix: Edge of scoring ranges now works properly (h/t Martin S). Update: Added number of agent feedback comments for each tree to My Trees page (h/t Martin S). Once again, thanks to our intrepid, fanatical Zingtree users for most of these suggestions. 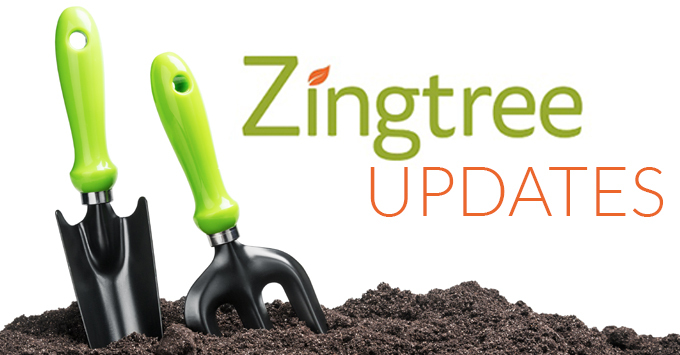 Do you have any great ideas to make Zingtree even better? Please share!